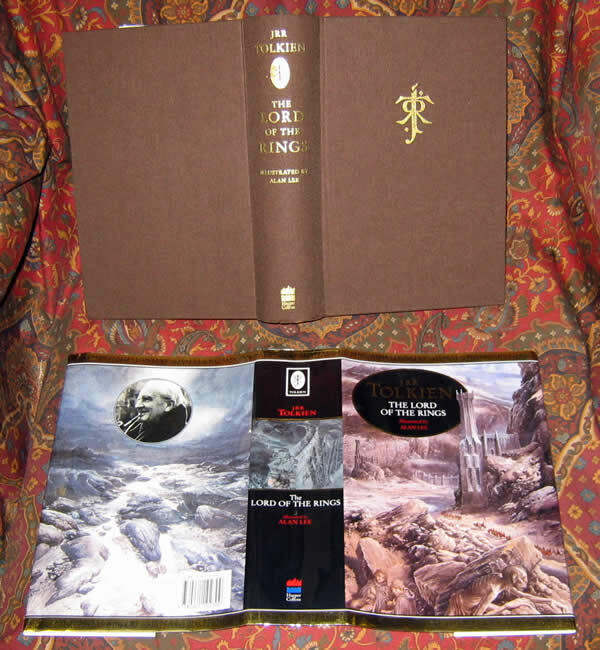 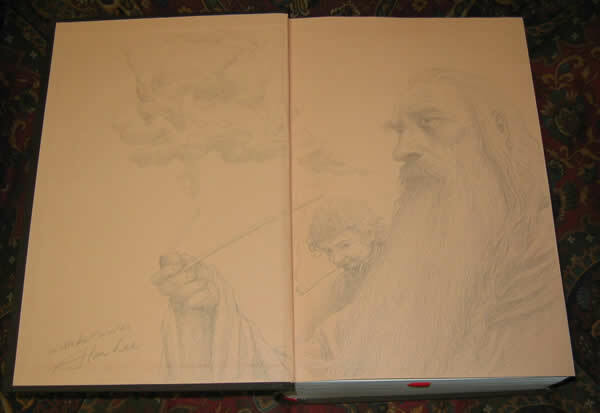 A later printing of the one volume edition, with the 50 illustrations by Alan Lee. 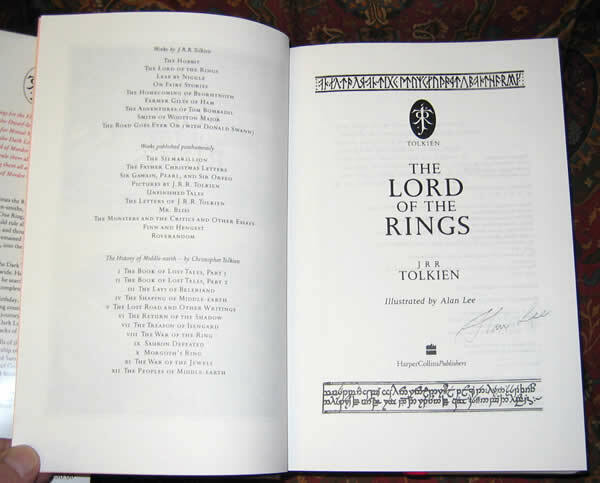 This copy has been signed by Alan Lee on the title page. 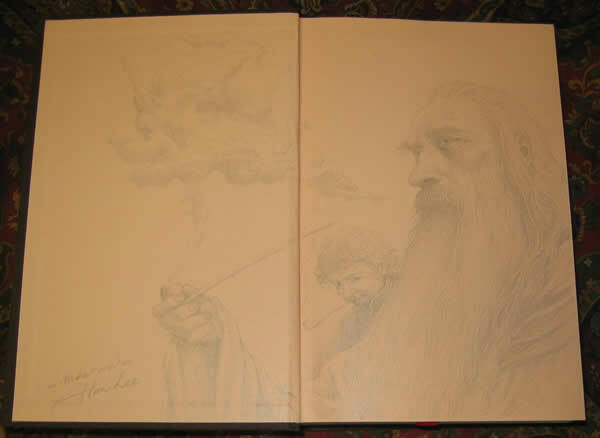 It also includes a full two page pencil drawing of Gandalf and Frodo smoking their pipes, signed "With best wishes, Alan Lee". 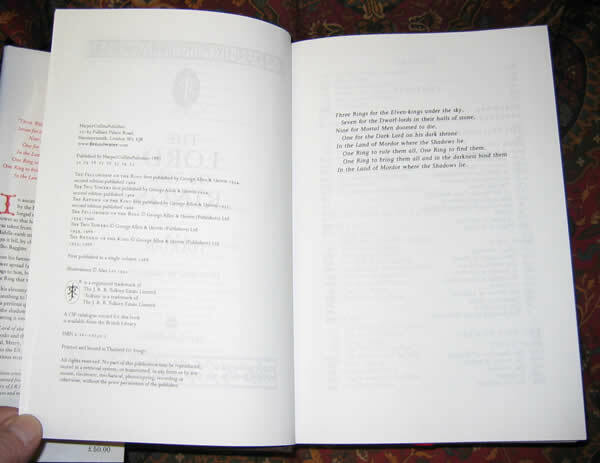 This copy was purchased by a not for profit organization in New Zealand in October 2003. 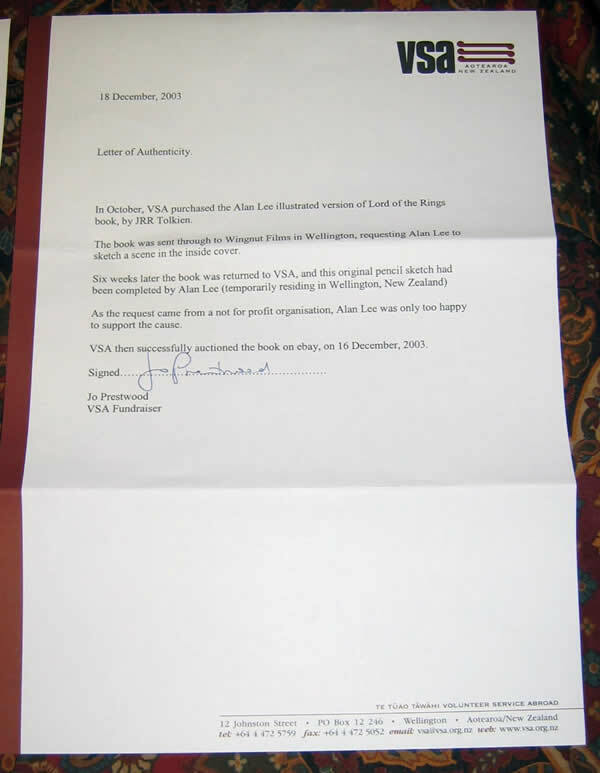 It was sent to Wingnut Films in Wellington, where Lee was temporarily residing, during the filming of the movies. 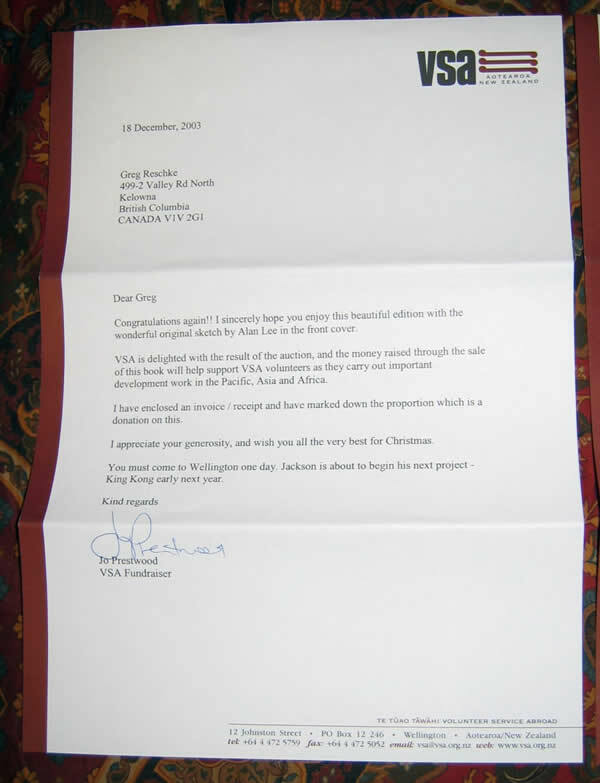 Since it was for a not for profit organization, Lee was only too happy to support their cause.